Manchester United star Marcus Rashford has praised rival Sergio Aguero, stating that the Argentine sharpshooter is the complete centre-forward. With 18 goals and 6 assists in the Premier League, Sergio Aguero is on the verge of winning another golden boot in England. Despite missing out on games due to injury, the 30-year-old Argentine ace is back to his very best and proving that almost every week with his tremendous impact on the pitch. Due to his exploits, Manchester City are 2nd in the Premier League, just two points below leaders Liverpool with a game in hand. On the other hand, Marcus Rashford remains one of the pivotal pieces in the puzzle for City's arch rival, Manchester United. The 21-year-old completed a penalty in the added time to complete United's sensational comeback and knock out Paris Saint-Germain in the UEFA Champions League. With 9 goals and 6 assists, the 21-year-old England forward is way below in the hunt for Golden boot in the Premier League. United endured a tough start to the 2018/19 campaign under Jose Mourinho but are looking at their very best under interim boss Ole Gunner Solskjaer. It is evident that both United and City are bitter rivals and Aguero's added-time winner which snatched the Premier League title from United is still etched into the memory of football fans around the globe. Speaking in an interview with GQ, Rashford revealed his admiration for his rival, claiming Aguero is most complete center forwards in the world. 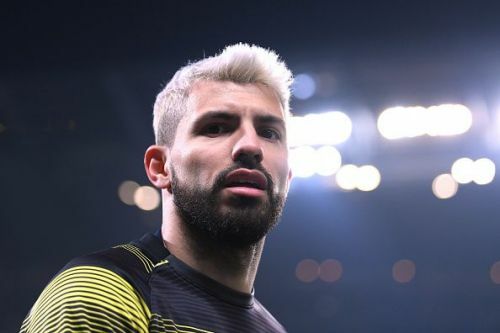 He said, "I think probably the most all-round centre-forward is Sergio Aguero,"
"Even on an off day, he can score you three or four goals. That, for me, is one trait of a centre-forward that I would take all day long." "When you're not having a good game, but you're still scoring goals – that is a skill on its own." Manchester United will face Watford and Wolves before facing Barcelona in the Champions League. Their noisy neighbours will take on Fulham and Brighton in the Premier League and face Tottenham in the Champions League. The Rashford vs Jesus debate - Who is the best young striker in Manchester?